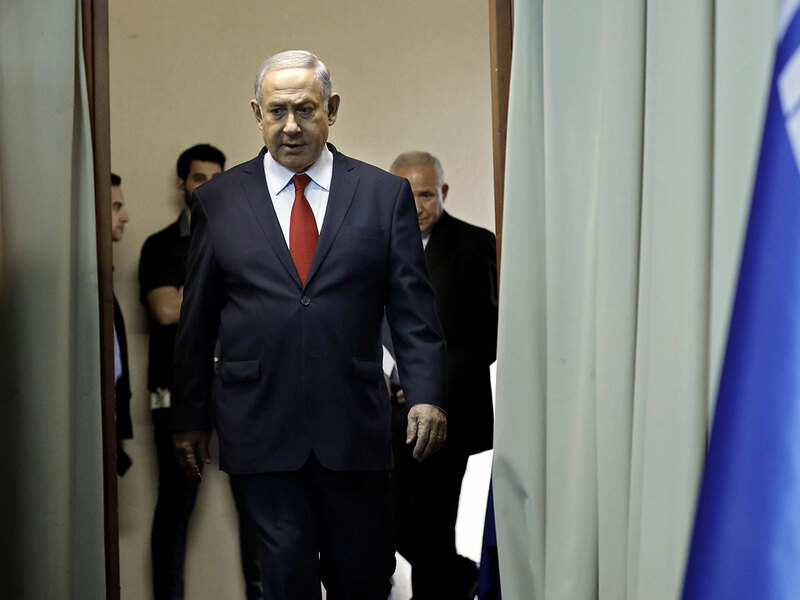 Occupied Jerusalem: Prime Minister Benjamin Netanyahu has fallen behind his main challenger in opinion polls ahead of next week’s Israeli election but still has an easier path to form a government that would keep him in power for a record fifth term. Israel’s president, Reuven Rivlin, will consult with the leaders of every party represented in parliament and choose whoever he believes has the best chance of forming a coalition. The nominee has up to 42 days to form a government before the president asks another politician to try. No charges have yet been brought and there will be a pre-trial hearing at which Netanyahu can challenge any findings. If indicted, he is under no obligation to quit, but he would need coalition partners to stand by him to avert a new election. That could include efforts, promoted by some Netanyahu loyalists, to pass a law to ban the indictment of a sitting prime minister. Some potential coalition allies have publicly balked at such legislation, including at least one cabinet minister - and potential successor - in Netanyahu’s own party.